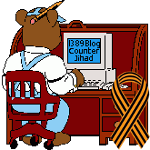 Donald Trump gets it regarding Syria, ISIS, refugees, and the counterjihad — 1389 Blog - Counterjihad! OT: Either your email has been hacked or there is something wrong with yahoo. I have received the same email 4 times.And another which is very weird.